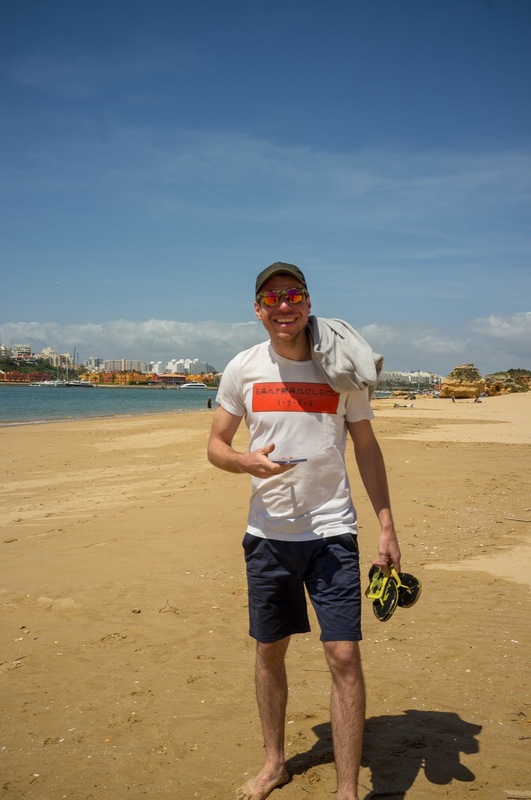 Spring arrived, and our winter berthing contract at Albufeira was coming to an end. 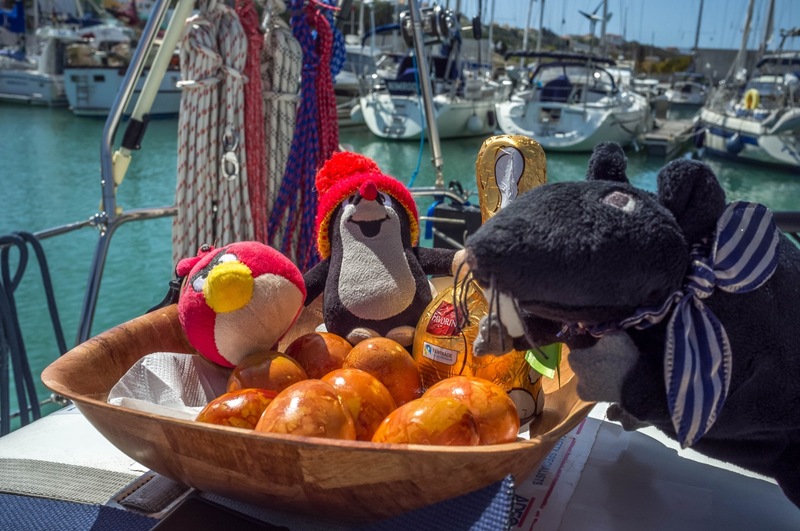 We had plans to work our way eastwards into the Mediterranean, but first we needed to shake off the cobwebs and test everything was still working after the winter period and all the work done on the boat. 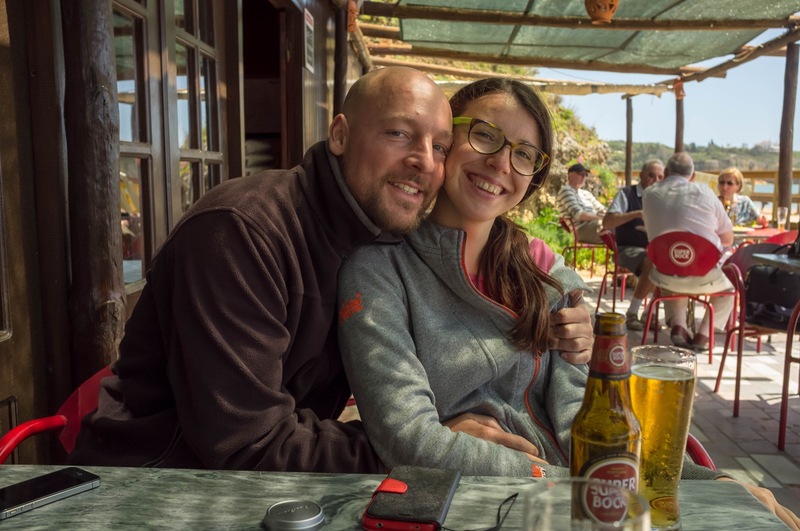 Elvyra's brother came to visit for a few days, and after a tour of Albufeira and a wander around the scenic cliffs we took him for his first sail, toward Portimao anchorage. 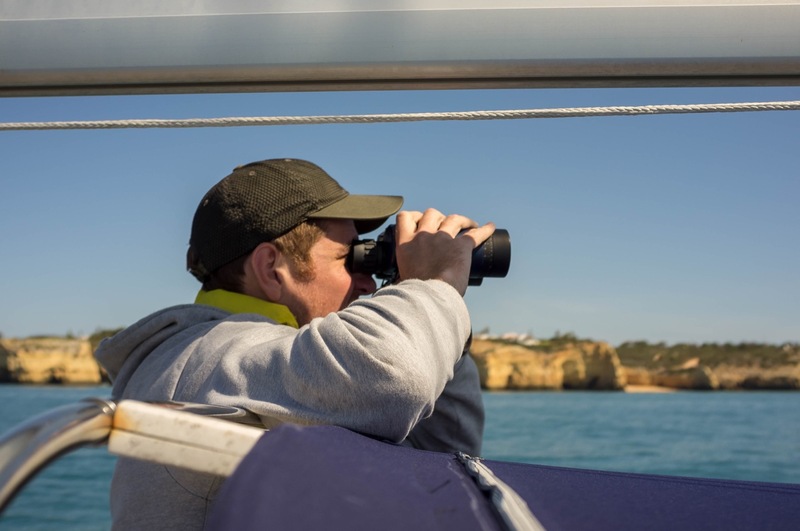 The weather was a bit April-ish, with a drizzle out of an overcast sky and a 1-2m swell that caused Edvin to take a long look into our cockpit bucket, and the rest of us weren't feeling too shiny either. Wind was on the nose of course, but we optimistically started tacking against it. During one of those tacks the Genoa sheet managed to clip itself into the carabiner we use for lifting the dinghy, because it was stored the wrong way around. While trying to release it, I pinched my thumb in it pretty good. 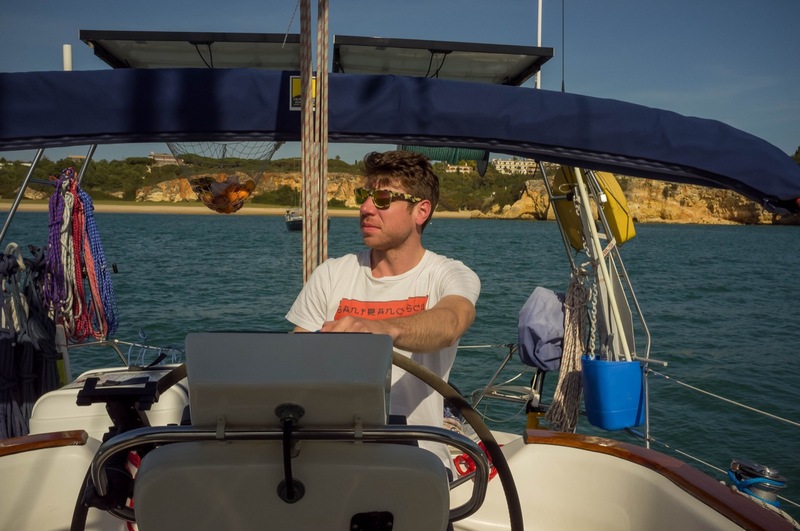 The wind soon died off and as everyone was feeling a bit unwell, we fired up the engine and motored the rest of the way into Portimao, where we briefly explored up the river, then dropped the hook in the outer harbour anchorage. 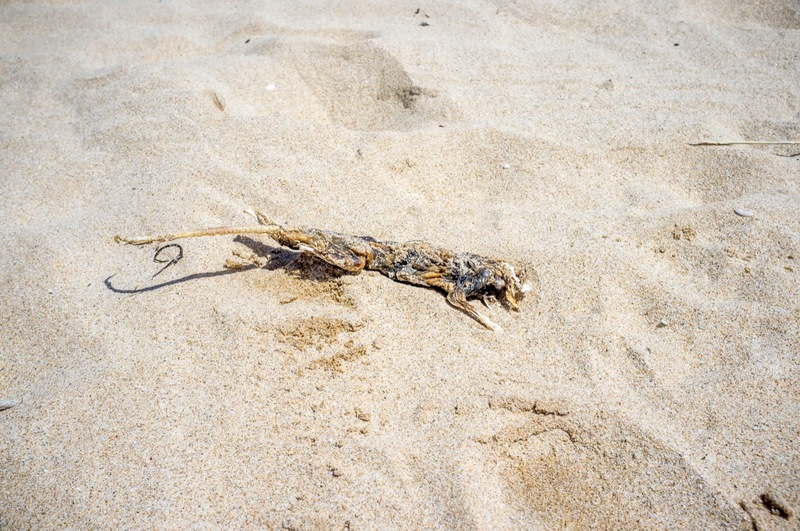 We felt a bit like this dead rat during our first sail of the year. We didn't quite get that right either, so had to reposition. No problem with a windlass. I pushed the "up" button on the windlass control, and the windlass promptly let some more chain down. Err. That wasn't what that button is supposed to do. I tried the down button, which also let more chain down. This was a bit surprising. I tried the wireless remote, which behaved the same way. It seems something was malfunctioning, and unfortunately only the somewhat less useful "down" direction worked. After sailing, now a salty seaman. Since I didn't fancy hauling the chain and anchor up by hand, I just pulled it in a bit so we were clear of swinging into shallow waters and went to work, removing the control box and testing it, which was fine. I also disconnected the wireless remote control box, which was equally innocent. Most puzzling! Eventually I decided to bypass the controls entirely and simply jam a big screwdriver between the power cables to see if the problem lay further forward in the boat. A few big sparks later proved me correct, the control boxes were not the problem. It must be the motor. But how? 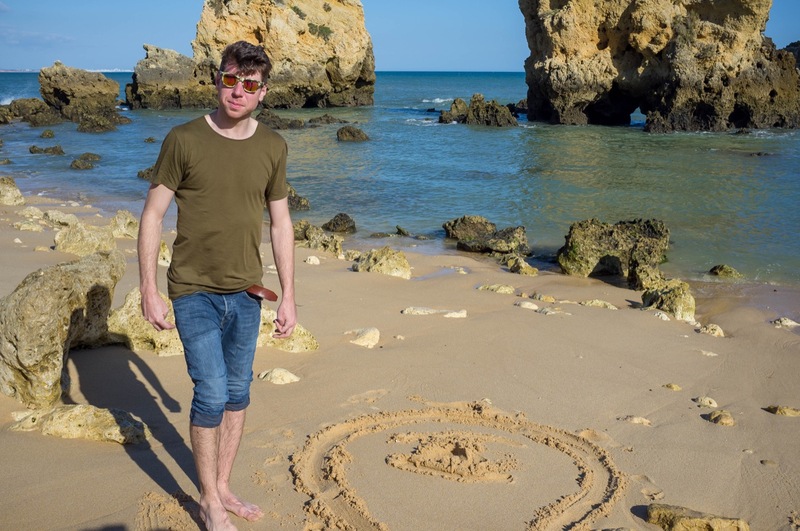 Like most Instagram shots, totally staged. We're anchored and there is absolutely nothing to steer, except perhaps the ladies on Tinder. Then I remembered there were some cable joints in the three wires to the windlass motor somewhere forward in the sail locker. I opened the locker, moved some stuff aside and voila, two wires were touching at their joints because some self-amalgamating tape around them had dissolved. Now it all made sense. I pulled them apart, shoved a piece of lengthwise sliced hose over each to insulate them again and voila, the windlass remembered which direction "up" was. The next day was much better. Sunshine, warmth and calm. 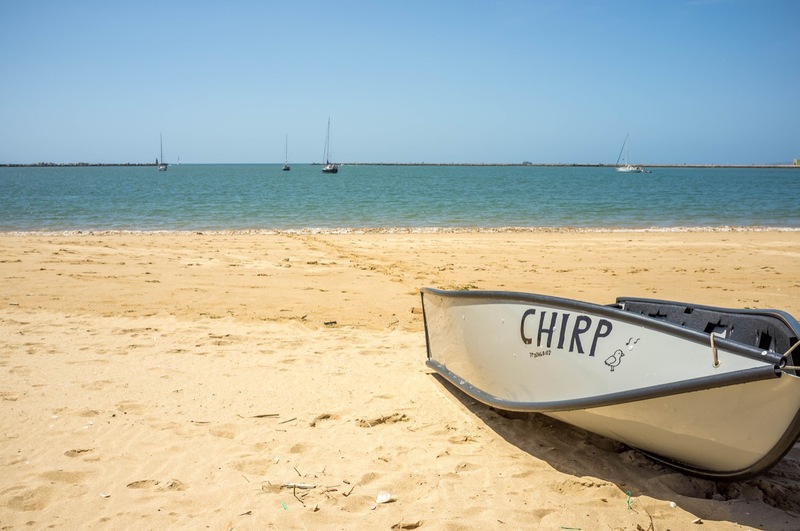 We launched Chirp, our dinghy, and landed on the nearby beach at Ferragudo, where we spent some time wandering around and then visiting the beach bar for beer and food. 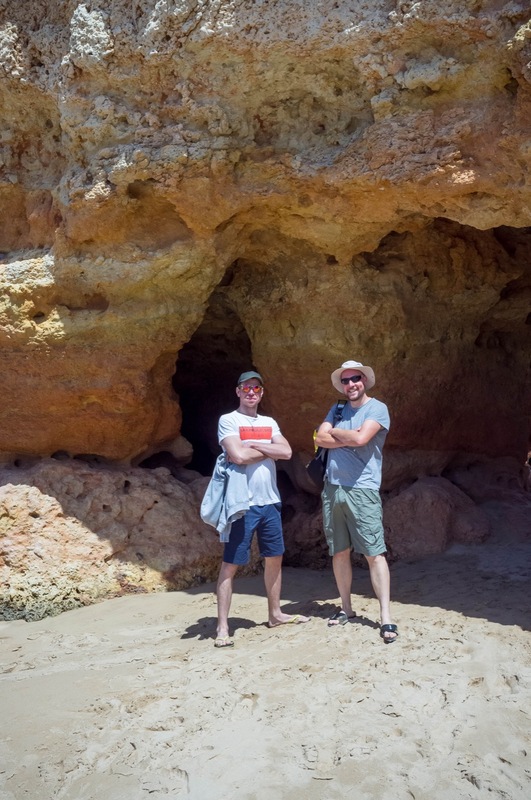 Two days later we sailed back to Albufeira to drop off our temporary crew and wait out some more crappy April weather that was heading our way. The return trip weather was calm and we motorsailed all the way, but at least nobody got sick this time. So as you can see, a shakedown was much needed, and we felt more ready now to tackle the coming miles.